Q.Do I need a tree to build a tree house? No you don't need a tree to have a tree house. We will build your treehouse in the right location for you. We will then landscape the area surrounding your tree house with shrubs, trees, lawns, ponds and streams whatever is needed to enhance the appearance of your treehouse. Q. How long will my tree house take to build? Within a week of receiving your request for an onsite visit, we can produce 3D scale drawings and an artist impression of what your individual tree house will look like within 14 days. 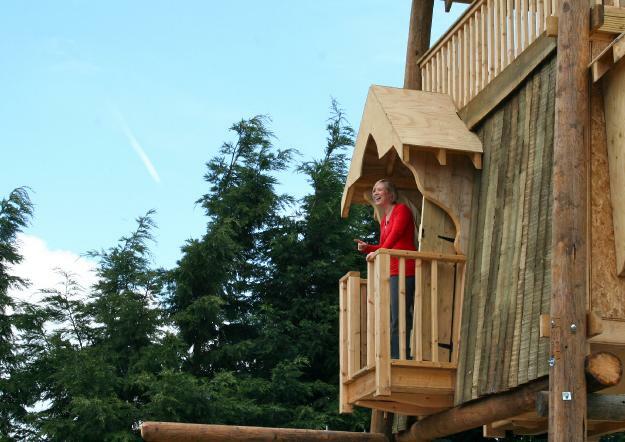 Once your order is confirmed, your tree house will be ready for installation within a 10 - 12week period. Q. Do I get to see what my tree house looks like in situ before it's built? Yes, we produce a 3D scale computer model of your treehouse in its surroundings for you to view. Planning permission is not needed on all occasions. There are height restrictions, the size of the building in proportion to the land, distance from your home and public roadway to consider. We will need to see the layout of your garden and where you intend to build your treehouse before we are able to answer these questions fully.